Connected speaker maker Sonos on Thursday invited the press to a June 6 event in San Francisco, where the company will almost certainly reveal a new home theater product with support for Amazon's Alexa voice assistant. 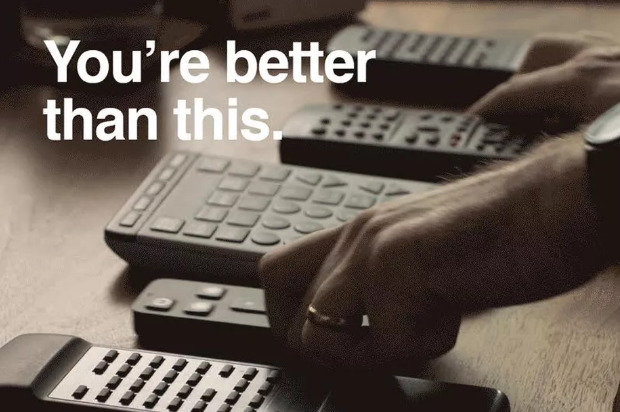 The company's email invite shows a table littered with remotes, and overlaid text claiming "you're better than this." Adding to the evidence of a home theater speaker, a March FCC filing pointed to a product with both microphones and HDMI support. Sonos's first true smartspeaker, the Sonos One, already has Alexa and should gain Google Assistant and AirPlay 2 compatibility in the near future. The company has expressed a strong interest in voice assistants, and so it would make sense to continue with other product lines. It will presumably refresh either the Playbase or Playbar, but might also choose to debut an entirely new design. The presence of HDMI on the new model could mean direct control of a TV, though what that would entail is uncertain. Apple and Sonos have enjoyed a close partnership, despite the former's introduction of the HomePod, nominally a competitor with the One. Sonos products have appeared in Apple stores, and also support Apple Music as an option in app-based control.